We, the scribes and artists of the Caravan, have spent the last 47 years traveling the nomadic pathways of the land and seas on this earthen orb. We have seen and felt the rising tides, the surging storms, the abandonment of cultural voices, the violence of neglect and loss, the discordant remnants of tribal identity, the craters of individuality, and the shredding of collective power. In between the waves, on mountain trails and in valley wanderings, we, like a binary being, have also experienced abundant joy, exuberant gatherings, overwhelming beauty, and memories that are a treasure that must not be banked in a safety vault. It has been an astonishing voyage of discovery… a journey that birthed a thousand stories and a road that seeded a bounty of relationships that will live on in the telling and embrace of each. Nomadic Tempest takes place on the traditional, unceded Homelands of the Coast Salish people. Unceded means that this land was never given as a gift, traded, surrendered, relinquished or handed over in any way. We are dedicated to building a new relationship between our nations based on respect and consent. 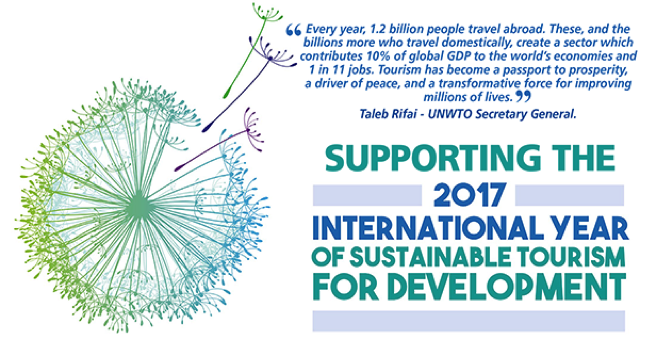 In collaboration with the values of our United Nations designation as a 2017 International Year for Sustainable Tourism Official Event & our commitment to highlighting local organizations for our viewers to TAKE ACTION in their own communities, we offer a few organizations to connect with & invite you to help us build the llist with any known organizations you feel align with our messages. In collaboration with graduate students at Patel College of Global Sustainability @ University of South Florida, a short series of follow-up questions where designed to test the Butterfly Effect of our production, Nomadic Tempest. We simply like to better understand how our performance and storyline made you feel, which parts created the greatest impact upon you as an individual and whether you may or may not have learned something from the experience as a whole.